Do American Citizen Expats Pay Tax on Overseas Income? The U.S. has a highly unusual tax system in that it’s based on citizenship rather than on residence. Almost every other country either taxes based on residence, so you only pay taxes in that country if you live there, or has a territorial tax system, meaning you only pay tax on income generated there. The U.S. citizenship-based system however is more all-encompassing, as all American citizens, as well as green card holders, are required to file a U.S. tax return reporting their worldwide income, regardless of where in the world they live. So on the face of it, American expats are required to pay tax on overseas income. While it may appear illogical or unreasonable that expats should have to pay U.S. tax on overseas income, in practice the requirement for American citizens to file U.S. taxes from abroad is for the majority of expats a reporting exercise that allows the IRS to know that they’re not evading taxes. While the around one hundred tax treaties that the U.S. has with other countries don’t (as some expats assume, or hope) prevent Americans living abroad from having to pay U.S. tax on overseas income, the IRS has made available a number of exemptions that expats can claim when they file that achieve this. So long as expats claim these exemptions when they file, the majority won’t owe any U.S. taxes (and they definitely won’t pay an more tax on their income than if they were living in the States). The two most useful exemptions for expats (though there are others), are the Foreign Earned Income Exclusion, and the Foreign Tax Credit. The Foreign Earned Income Exclusion allows expats who can prove either that they are a permanent resident in a foreign country or that they spend at least 330 days outside the U.S. in a 365 day period that overlaps with the tax year to exclude around $100,000 of their income from U.S. taxation. The Foreign Tax Credit meanwhile allows expats to claim a $1 U.S. tax credit for every dollar of foreign country tax that they’ve paid abroad. It’s very important that expats do claim one of more of the available exemptions though, using form 2555 and 1116 respectively, when they file, as otherwise (or if they don’t file) the IRS still considers them to owe U.S. tax on their worldwide income. Exactly which exemptions to claim and how best to apply them depends on each expat’s circumstances, taking into account factors such as their income levels and sources, their family situation, and where they are living, so if you have any doubts or questions, always consult a well-regarded expat tax specialist. Are there any differences for U.S. expats when they file U.S. taxes? The primary difference for expats when they file from overseas is that they must ensure that they claim the exemptions that for most people allow them not to owe any U.S. taxes. Expats often also have extra filing obligations though, such as reporting foreign bank and investment accounts by filing an FBAR (Foreign Bank Account Report) to FinCEN, and foreign financial assets by filing form 8938, as well as any interests in foreign registered businesses or trusts. How can expats catch up if they are behind with their U.S. tax filing? 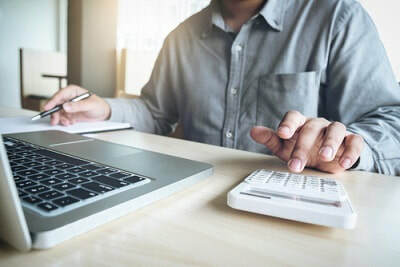 The IRS has an amnesty program called the Streamlined Procedure that allows expats who are behind with their U.S. tax filing to catch up without facing any penalties. To catch up using the Streamlined Procedure program, expats must file their last three tax returns (if they are only one or two years behind they can simply back file them), and their last six FBARs (is applicable), and self-certify that their previous failure to file was non-willful.